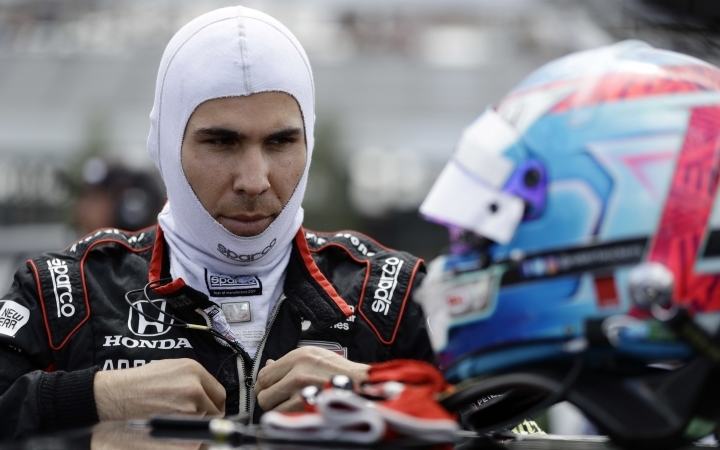 MADISON, Ill. — The head of competition for IndyCar said Friday that Robert Wickens' car performed exactly as it was designed when it tore to pieces during a frightening wreck at Pocono, leaving the Canadian driver hospitalized with serious injuries to his spinal cord and extremities. Jay Frye also acknowledged that a host of improvements could be made — to the car itself, to the fencing that shredded the car and even to the injury reporting process that some criticized as being much too slow after last Sunday's accident. "Any time you have something like this happen, you look at it," Frye said during a morning downpour at Gateway Motorsports Park, where the series will race Saturday night. "What was good about it? What was bad about it? Did it do its job? What could be better? How long did it take to fix? The accident occurred early in the race, when Wickens made slight contact with Ryan Hunter-Reay and catapulted into the fencing above the SAFER barrier. Hunter-Reay barely managed to slip under Wickens' car as it helicoptered along the fence, and other drivers began trying to dodge the debris. Takuma Sato, Pietro Fittipaldi and James Hinchcliffe also were involved the crash. Hinchcliffe, a fellow Canadian and one of Wickens' best friends, had minor injuries to his hands from the debris. The fence sustained about 80 feet of damage, delaying the race for about two hours. 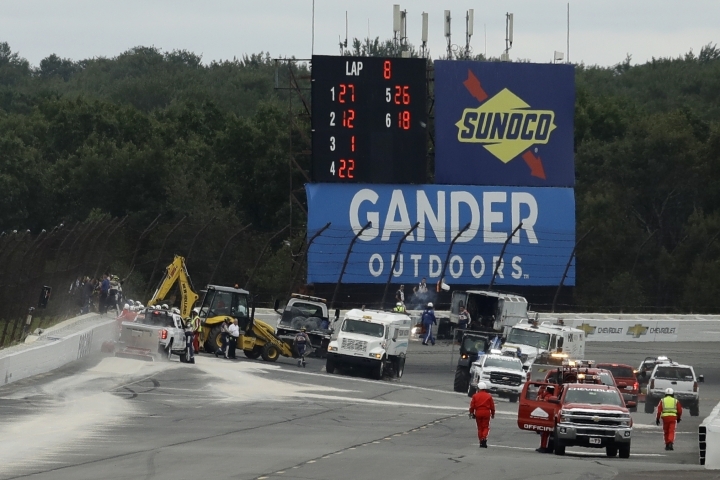 Frye also said Pocono officials, working hand-in-hand with IndyCar, did a remarkable job to get the fencing repaired, even though some drivers expressed concern with the quick fix. "Again, same thing we talked about — we'll look back at all this stuff and see if it was done 100 percent correctly," Frye said. "We think it was safe. We don't think there was a problem there." Yet there was an issue in the chain of communication following the wreck, Frye said. IndyCar has been criticized for taking too long to report that Wickens was alive and alert, leading to confusion and concern that extended from the garage area to fans watching at home. "Five drivers came into the care center. One of them was injured, obviously, injured enough that he had to be transported," Frye said. "At that point the biggest concern is we're taking care of our drivers and we're taking care of our drivers' families, so they understand what is going on. "There was probably 10 or 15 minutes that we figured out how we could do better next time. There was one thing we probably missed. There was an error as we went through. But it will be better next time." Then there are potential changes to the car itself. While the windscreen IndyCar has been developing likely wouldn't have helped Wickens, it could have prevented injuries to other drivers from the debris scattered by his car. Prototypes of the screen already have been tested by Will Power and Josef Newgarden, and the next step is impact testing. "Everybody has said, 'Just put it on the car,' but there's cause and effect to everything you do," Frye said. "And the negative effect could outweigh the positive. So that's why we're doing the testing." Frye admitted "we're about a month behind where we want to be right now," and the first round of impact testing will likely take place the first week of September. Then there will be a second, more extensive round of testing before the windscreen is ready for another on-track test. "We haven't talked much about the screen lately, but we're full-speed behind the scenes, like we have been," Frye said. "Whether last Sunday had happened or not, we'd be full-speed-ahead still."